Poornima has been associated with game design since 2006 and worked at one of the leading game development company in India - Indiagames (now Disney India) - for almost four years. She has been lead game designer for the AAA global title, Bioshock Mobile (BREW & JAVA platforms) which went on to win the 2009 FICCI-BAF Awards in the best mobile game category for 2D Java version, while the 3D game was nominated for the 2008 IMGAwards in the 'Excellence in 3D' category. She has also been part of T20 Cricket Fever, 3D Movin Maze-iPhone (Best Game Design at 24fps Awards by MAAC), NBC’s Office Challenge 3D (Nominee for 2007 IMGAwards in the Licensed IP based category) and other titles. Poornima chose game design as her career completely out of her passion for games and now she seeks to translate that passion further with her entrepreneurial venture, Pinaka Interactive. Poornima has recently co-founded Namma Lore Entertainment along with Divya Hegde. Namma means 'our' in more than one South Indian language. And thus the name translates to 'Our Lore'. Namma Lore's focus is on socio-cultural impact games (& tech) using storytelling as a primary medium. 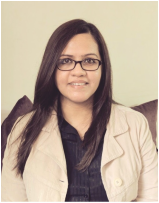 Deepti has part of the gaming industry since 2006 and has spent over 2 years in copy-writing and screenplay writing as well. Coming from an educational background of advertising, game design happened to her by accident, but she took to it naturally as she went on to work with some of the best names in the Indian game industry like Jump Games and Games2win. She has also worked as a screenplay writer (feature) at Stir Fry Films and has a keen interest in installation and performance art. In recent past she has been conducting storytelling workshops for lesser privileged children in order to research the scope of storytelling in bridging the urban divide (economic, social and cultural). She believes every two dots can be joined by imagination and logic, and she is trying to join her numerous interests by partnering with Poornima at Pinaka Interactive. Deepti is currently working as Creative Producer at Mocomi (Anibrain Studios).